October is Breast Cancer Awareness Month and so many of us know someone in our lives who has been affected by this cancer. According to research done by The American Cancer Society, about 1 in 8 women in the US will develop invasive breast cancer during their lifetime. Since the year 2000, there has been a decrease in the breast cancer incidence rate and it continues to drop year over year. At this time, there are more than 2.8 million breast cancer survivors in the US alone. There are several risk factors of breast cancer including being a woman, getting older, genetics, and having dense breast tissue. There are also some lifestyle- related breast cancer risk factors including drinking alcohol, being overweight, and lack of physical activity, to name a few. Many women who suffer from breast cancer often have to have one or more breasts completely removed as part of their breast cancer treatment. While this can be emotionally traumatizing, breast reconstruction can help restore one’s self confidence and overall quality of life. The reconstruction of the breast can help you, or a loved one, move past a cancer diagnosis and move forward in life. 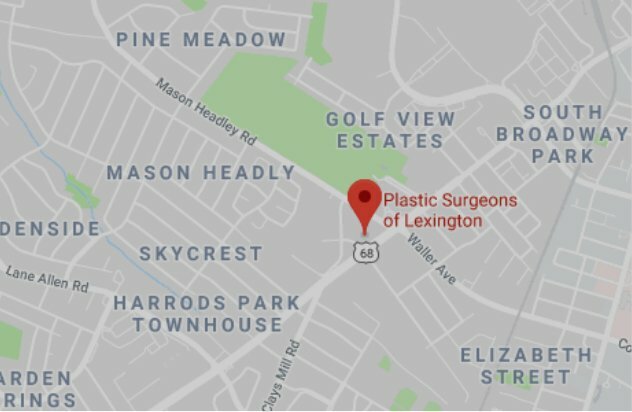 For more information about Breast Reconstruction Surgery and what to expect, please call our office at (859) 276-3883. We know how difficult this journey can be. Let us help ease the stress of Breast Reconstructive Surgery.